I hope this issue finds you enjoying nice weather. We've had some cooler temps here... in the 50's. I believe the designer literally means the "next stitch"... instead of the base of the beginning chains. For the first Row I ended up with 58 stitches total but that includes the turning chain at the beginning. Row 2 seems off at the end to me because that stitch isn't worked into at the end. Then the servant took ten camels from the camels of his master, and set out with a variety of good things of his master's in his hand; and he arose, and went to Mesopotamia, to the city of Nahor. And he made the camels kneel down outside the city by the well of water at evening time, the time when women go out to draw water. And he said, "O Lord, the God of my master Abraham, please grant me success today, and show lovingkindness to my master Abraham. Behold, I am standing by the spring, and the daughters of the men of the city are coming out to draw water; now may it be that the girl to whom I say, 'Please let down your jar so that I may drink,' and who answers, 'Drink, and I will water your camels also';-- may she be the one whom Thou hast appointed for Thy servant Isaac; and by this I shall know that Thou hast shown lovingkindness to my master." Now it came about after the death of Moses the servant of the Lord that the Lord spoke to Joshua the son of Nun, Moses' servant, saying, "Moses My servant is dead; now therefore arise, cross this Jordan, you and all this people, to the land which I am giving to them, to the sons of Israel. Every place on which the sole of your foot treads, I have given it to you, just as I spoke to Moses. From the wilderness and this Lebanon, even as far as the great river, the river Euphrates, all the land of the Hittites, and as far as the Great Sea toward the setting of the sun, will be your territory. No man will be able to stand before you all the days of your life. Just as I have been with Moses, I will be with you; I will not fail you or forsake you. Be strong and courageous, for you shall give this people possession of the land which I swore to their fathers to give them. Only be strong and very courageous; be careful to do according to all the law which Moses My servant commanded you; do not turn from it to the right or to the left, so that you may have success wherever you go. This book of the law shall not depart from your mouth, but you shall meditate on it day and night, so that you may be careful to do according to all that is written in it; for then you will make your way prosperous, and then you will have success. Have I not commanded you? Be strong and courageous! Do not tremble or be dismayed, for the Lord you God is with you wherever you go." WHO HUMBLE THEMSELVES AND SEEK GOD'S WILL." and laid in the balances together with my iniquity! therefore my words have been rash." (Dc, ch 1, dc) in next st or ch sp. If you need to crochet a bunch of different squares to make an afghan and you don't want to continously have to measure each one. Cut a piece of cardboard to the size of the finished square you need and use it as a guide to ensure you achieve the correct size. 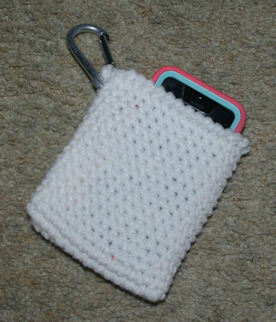 Thank you for the lovely free crochet patterns on your website. Regarding joining the ends/edges I don't know what you mean by this, sl st cor sts tog, what does cor stand for please. “cor” is the abbreviation for corresponding. All of the sweaters worn by the dogs in The Dog House are versions of this pattern. Those crocheting the sweaters have added their own embellishments. Tina made an insert to join the chest and neck on Bella’s sweater which formed leg holes. I do know that the yarn she used was Peaches and Crème cotton yarn. Just found you. I LOVE your videos. Thank you for your generosity. *ch 4, dc in 4th ch from hook; rep from * 8 more times-9 ch-4 loops. Fasten off. you should have 9 places where you made 4 chains. I just had to email you to let you know somehow I missed this pattern of yours called No Tie Hanging Dish Towel, I sooooooooo love this can’t wait to finish all the projects that I have to make for other people then I’m going to make this. THANK YOU also for making it easy especially for people like me ha ha. You did a superb job on this as usual TONS OF THANKS SWEETIE. Do you have the lively video of how to do the basketweave ….. I am having problem understanding or following the pattern. I have wanted to do this for our newly baby grandson. Thank you. 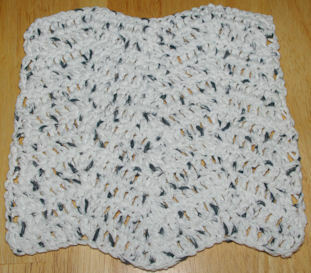 the videos are linked below the pattern. I'm not able to download any of your patterns. Kindly guide me. None of our patterns require you to “download” them. When you click on a link to a pattern page the pattern will be displayed. Each issue of the newsletter, which is viewed online, is divided into sections. First, click on the link to the newsletter from the email you receive. When you click on “MEMBER PATTERNS” the computer should take you to that section. The two patterns for that issue are listed there. 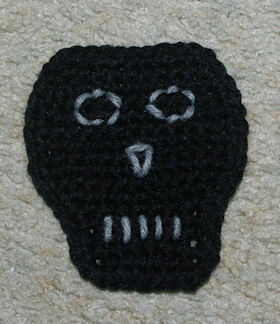 Click on a pattern to view the pattern page. pattern wrong or am I doing something wrong.???? one dc on each end. I have a question about your pattern for the ABC puff stitch blanket. Do u have patterns for each letter individually. 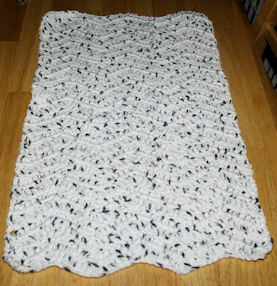 I want to make the heart puff stitch blanket but incorporate my nephews name in it. However I'm unable to find a pattern for letter individually. I do not have individual letter patterns like the ABC afghan. I have made this same afghan with a name in it... I just rearranged the letter layout. It works for any name up to 5 or 6 letters... depending on which direction you choose to write it. I have had some really good replies from you before and so thot you may be able to help me once again. Son got a new bike and I saw a pattern for a seat cover and didn't download it, now I cant find it anywhere. Do you have any ideas where I can get this pattern? It is crocheted with thick yarn to make the seat feel better for the man riding it. I have checked out Red Heart and several other companies but to no avail. So am coming back to you as you seem to have the info needed every time you get asked questions by dummies like me. So if you know where I can find these directions, I would surely appreciate it greatly. 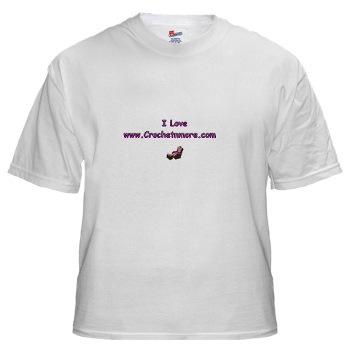 Enjoy your crochet newsletter and have sent it to many others who have also subscribed to it. Thank you for all your work, I do appreciate your efforts to help everyone of us out here who need help. Most of the others I found were not in English. Hope one of these is the one you remember. 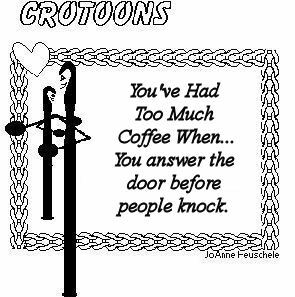 This means work one double crochet in each of the next 2 double crochet stitches. This depends on the pattern. There are many different decreases... work the one your pattern has listed. understand why this happened.. Is it supposed to be this way? and every even numbered row is read from left to right. Reversed letters can happen if the graph is read in the wrong direction. is facing away from you, it's good to turn it around the verify placement after each row. Two: Better listen to God, rather then men! around and gave her a high-five! one for the clutch and one for the accelerator." Billy and Willy were at Sunday school studying about Noah's ark. On the way home, Willy asked, "Do you think Noah did much fishing?" son announced one day when he returned from school. Pleased, I told him I’d find one for him. temple, my mother led me to a man who looked vaguely familiar. I frantically tried to place him, and suddenly it came to me. it weren't always under such tragic circumstances." before he was called away. A few minutes later, I rejoined my mother. rabbi who performed your wedding!" “I think my son will really look forward to Christmas this year. Now that he gets it - on the kid level anyway. the dictionary to solve his problem. what she did with the tofu in her basket. at it for several weeks and then throws it away. it. I was hoping you had a better recipe."